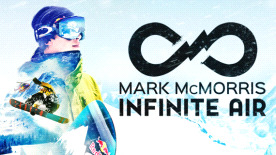 • Ride with the Pros Join top snowboarder Mark McMorris and other pros in the most authentic snowboarding game to date. • Genre-Defining Realism Fluid analog controls and physics-driven animations capture the true feel of snowboarding, allowing for skill-based trick executions and your own flavor of creativity. • Challenge Your Friends Compete in real-world events and go head-to-head in Slopestyle, Big Air, and Halfpipe competitions. • Infinite Runs to Ride Procedurally generated mountains and an intuitive map editor deliver an infinite number of mountains to explore and big air to find. • Share and Explore Share your course creations with friends online, and explore the best runs the community has to offer. A PC-compatible gamepad is required. trademarks of Maximum Games, LLC. All rights reserved. Please note: A PC-compatible gamepad is required.